The first Carluccio's within a hotel, this cafe goes beyond the usual remit of Antonio Carluccio's well known Italian restaurant chain. Offering in-room dining for the residents of the London Marriott Hotel Regents Park, this Carluccio's offers modern Italian all-day dining, a breakfast buffet and an extended bar menu, bespoke to the needs of the hotel guests. Those familiar with the Italian restaurants, found all over London, will know and love the antipasti sharing boards, small plates and handmade pasta that this chain does so well. Cocktail, spirits and wine by the glass and bottle are ideal for those evenings sitting at the bar, with large G&Ts served in balloon-style glasses and the popular Sbagliato Negroni (a softer version of the classic, with prosecco instead of gin). Breakfast, served 6am to 11am, includes hot and cold dishes like a proper Italian cooked breakfast, baked breads and pastries and coffee from beans specially roasted for Carluccio's in Italy. The deli has a good supply of salads and antipasti to take away and you can pick up a Carluccio's picnic to enjoy in nearby Regents Park. Carluccio's London Marriott Hotel Regents Park gyms, sporting activities, health & beauty and fitness. 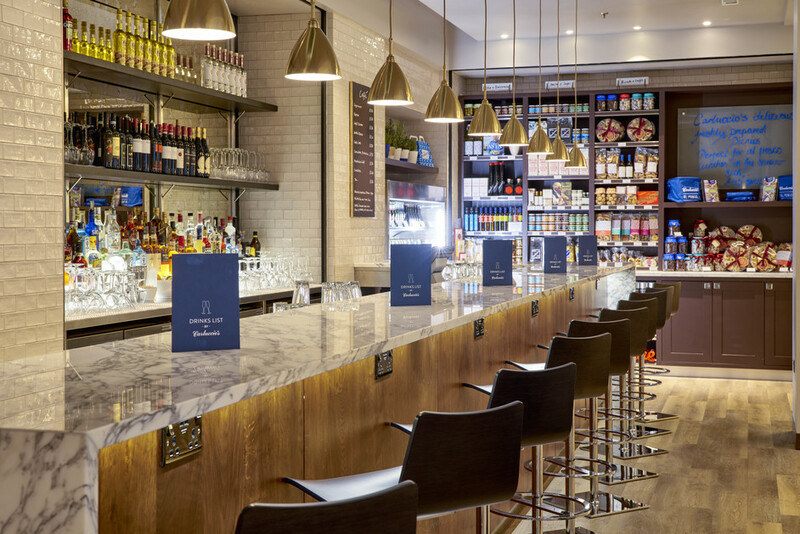 The best pubs near London Carluccio's London Marriott Hotel Regents Park. Carluccio's London Marriott Hotel Regents Park clubs, bars, cabaret nights, casinos and interesting nightlife. Where to have your meeting, conference, exhibition, private dining or training course near Carluccio's London Marriott Hotel Regents Park. From cheap budget places to stay to luxury 5 star suites see our special offers for Carluccio's London Marriott Hotel Regents Park hotels, including Best Western Maitrise Maida Vale Hotel from 0% off.